Dickinson is a community that welcomes students from all walks of life and is proud to have a student body that is diverse in every way. The college has a variety of programs, options and incentives to provide all students with the chance to attend Dickinson and take full advantage of all that our distinctive liberal-arts education has to offer. To find out whether we have an option that is right for you, read more about each of these opportunities below and contact the appropriate office for additional information. Dickinson has a tradition of helping eligible families afford a liberal-arts education through the availability of need-based and merit-based financial assistance. In addition, these opportunities allow students with backgrounds in public service, an associate’s degree or military service admission to Dickinson with funding to offset their annual cost of attendance. Some accepted students may wish to defer the start of their college experience until they have pursued an alternate activity for a year or two. Normally, experiences which enhance a student's educational background such as overseas travel, work, or study are approved. All gap year requests are reviewed by the Dean of Admissions on an individual basis. Upon the recommendation of their guidance counselors, promising high-school students may elect to enroll in up to two courses per semester at Dickinson on a space-available basis. Information and assistance is provided by calling the Registrar at 717-245-1315. A student who plans to leave secondary school prior to graduation, often a year in advance, is considered to be an early-admission candidate. Such students usually have performed very well academically and have exhausted the highest level course offerings of their schools. Applications for early admission are reviewed on an individual basis, taking into consideration maturity and readiness to participate in a residential college as well as academic ability. An early-admission applicant is required to have a personal interview by the deadline by which he/she is applying and must have the written recommendation and approval of the secondary school counselor. Contact your regional counselor for more information. Dickinson welcomes qualified applicants who wish to study on a full-time, non-degree status for either one or two successive terms "in absentia" from their present colleges. This program is specifically designed for those students who wish to participate in the high-quality academic and co-curricular life of a small college community. Application deadlines are December 1 for spring term admission consideration and August 1 for fall term admission consideration. Applicants are notified of the admission decisions on their applications on a rolling basis as the applications become complete. A nonrefundable $500 deposit is required from accepted applicants and is applied toward the first semester tuition charges. Under special circumstances, qualified guest students may study on a part-time basis for a semester or a year. These students are placed in regular Dickinson courses on a space available basis. For further details regarding the Guest Student Program, please contact the Registrar's Office at reg@dickinson.edu. International students should direct Guest Student Program questions to the Office of Global Education at global@dickinson.edu. Dickinson College is a traditional, residential liberal-arts college and all students working toward a degree are expected to study full time. In cases where an adult student wishes to pursue a degree, part-time permission may be granted by the Registrar. 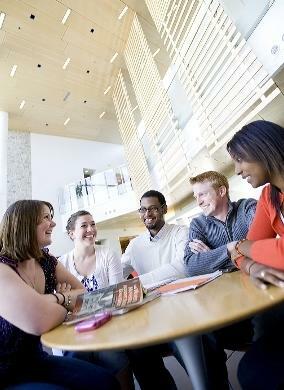 All prospective students applying to Dickinson for a degree program must do so through the Office of Admissions. Tuition per course will be prorated at the full-time tuition charge for those granted part-time status, whether initially admitted into a degree program or admitted conditionally for a maximum of four courses. Students who are admitted and who enroll in at least two courses per semester may be eligible for federal financial aid. Contact the Financial Aid Office for more information at finaid@dickinson.edu, 717-245-1308. Adult students wishing to pursue courses at the college for personal enrichment and who do not want these courses to count toward a degree at Dickinson College may apply for permission to take a course on a space available basis and register through the Office of Continuing Education. Courses may be taken for credit or non-credit (audit). Continuing Education students do have access to the library but do not have access to the athletic facilities and may not participate in student organizations. Contact the Office of Continuing Education at reg@dickinson.edu or 717-245-1315. Bachelor's Degree holders interested in earning a second Bachelor's Degree may do so on either a part-time or full-time basis. At least half (16 courses) of the credits toward the Dickinson degree must be completed at Dickinson, including all coursework toward the student's major. Previous coursework eligible for transfer may fulfill up to half (16 courses) of the total credits required for the Dickinson degree and may be applied to distribution and general graduation requirements and electives. Note that financial aid and Tuition Remission are not available to students pursuing a second Bachelor's Degree, although Stafford and PLUS loans may be available.